Earlier this spring, I (Jill) had the opportunity to travel to in Roanoke, Virginia for a service learning conference. Kirsten, one of my coworkers who also attended the conference, is from Roanoke. Like me, Kirsten can’t start the day without a cup of coffee. Rather than drink (not very good) conference coffee, she suggested we go to Mill Mountain Coffee and Tea which was located a few blocks from the conference hotel. 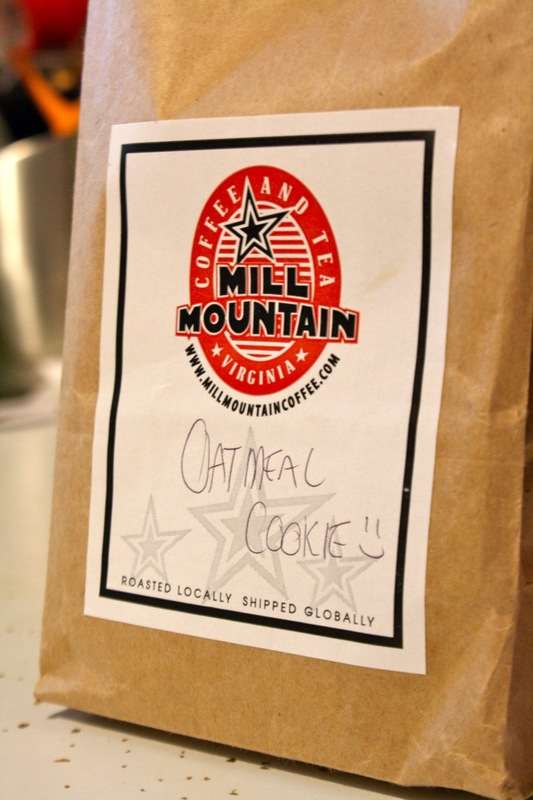 Kirsten loves Mill Mountain coffee – she even has her mom ship bags of their coffee to Tallahassee. Mill Mountain had the perfect coffee shop atmosphere and a great selection of flavored coffees. The first morning we went, I tried the Oatmeal Cookie flavor and knew that I had to bring a bag back to Artie. What kind of wife would I be if I didn’t bring him a souvenir from my travels? The coffee was so good that we went back the following morning (and again in the afternoon in preparation for our 12-hour through-the-night drive home…). On the second trip to Mill Mountain, I snagged a second bag of coffee that Kirsten recommended: Pralines and Cream. While Artie typically prefers unflavored coffees, I thought that both Oatmeal Cookie and Pralines and Cream were unique and delicious. 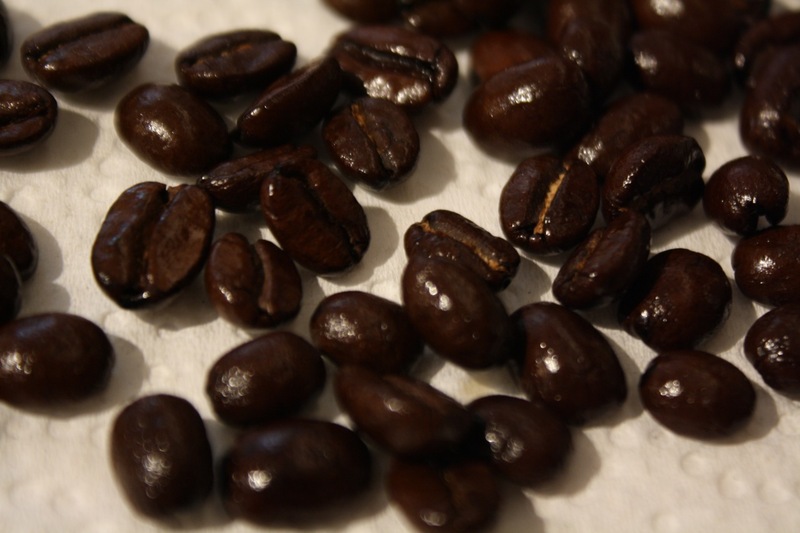 The coffee beans are roasted at the store in Salem, Virginia, a few miles away from Roanoke. I love being able to support local businesses both at home and when I travel. As the coffee brewed, the kitchen filled with the smell of freshly baked oatmeal cookies. Unlike the candles that are supposed to smell like baked goods, this coffee does not give off an artificial smell. In fact, while the coffee is very good, it is disappointing to walk into the kitchen and realize that there aren’t actually oatmeal cookies baking in the oven. 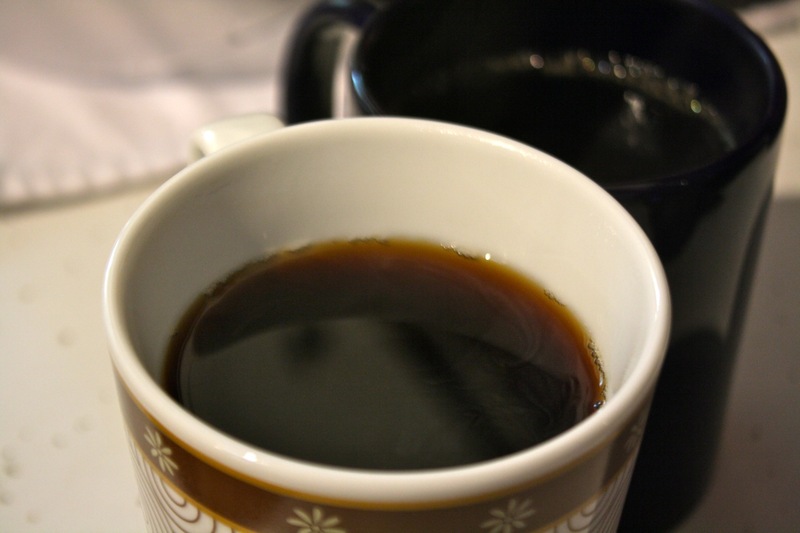 If you find a great local coffee shop in your travels, especially around Florida or the southeastern US, let us know. We are always on the lookout for the next great local cup of coffee! It’s always good to find little shops like these along the way. I would prefer small shops like the one you’ve shared over any large corporation (eg. Starbucks, Caribou). I absolutely agree. I’ll drink coffee from large franchise corporations, but I definitely prefer the local coffee shops. When I travel, I always try to hit places like Gallery Espresso in Savannah, GA; Amavida in Seaside, FL; the Deco Cafe in Inverness, FL; the Coffee Cat in Easton, MD; and a variety of others. In Tallahassee, the Black Dog Cafe has the best mochas and RedEye Coffee (formerly the Coffe Pub) donates their net profits humanitarian organizations locally and across the globe. Also, a local coffee shop always have a uniquely great ambience.